IS THERE A CERTAIN AMOUNT OF DEBT THAT I MUST HAVE BEFORE I FILE A ST LOUIS BANKRUPTCY? No, there is not. People filing for bankruptcy have varying levels of debt, but there is no set amount that you must have before qualifying. However, I would say that on average, I file bankruptcies for people who have high levels of credit card debt (5-10K or more), lots of medical bills (3-5K or more), and then a variety of other smaller debts, like payday loans, old utility and cellphone bills, and overdrawn bank accounts (1-2K or more). But other sets of circumstances exist as well. Sometimes the reason you filing has nothing to do with unsecured debt, but rather having to do with you secured debts (like a home or car). If for instance you are facing a foreclosure on your home, filing a St. Louis Chapter 13 bankruptcy will stop the sale and allow you repay the arrearage (the amount you have fallen behind on) over the course of three to five years. Or if your car was just recently repossessed, and you want to get it back, a Chapter 13 is the proper filing to make. Or perhaps your wages are currently being garnished by a creditor that harassed you endlessly before suing you. And now they are taking up to 25% of your net earnings, making it terribly difficult for you to make ends meet at home. Or maybe there is a bank levy on your checking account that has frozen the money that you have in it, making it impossible to send out payments on you utility bills. As you can see, there are many reasons why someone might entertain a bankruptcy. 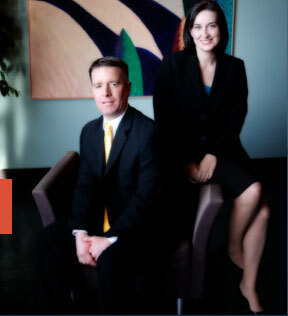 The key is finding a knowledgeable St. Louis bankruptcy attorney who can describe your full range of options. At Brinkman & Alter, LLC, our staff takes pride in making sure that all of your questions are answered thoroughly, that you understand how each chapter of bankruptcy works, and that you are put on the road back to financial success.